Mystery Fanfare: Dianne Day: R.I.P. Very sad news. Dianne Day, award winning author of the Fremont Jones San Francisco historical mystery series, passed away July 11 in Eureka, CA. Read San Francisco: The True Home of Fremont Jones by Dianne Day. This originally appeared in the Mystery Readers Journal (Vol 11:2) Summer 1995. Read an interview with Dianne Day here. Dianne Day, 75, died in Eureka, CA on July 11, 2013. She was born in the Mississippi delta in 1938 but moved to the San Francisco Bay Area as a young adult. She graduated from Stanford University with a BA in English with honors and was elected to Phi Beta Kappa. She married and moved east to Cambridge, MA. She worked while studying a year at the Radcliffe Institute and began graduate study in Psychology at Tufts University. After her sons were born, she moved with the family to Chapel Hill, NC. She earned a certificate in hospital management from Duke and worked in mental health counseling as well as hospital administration. She had written for years, but began to write seriously when the younger of her sons was in college. 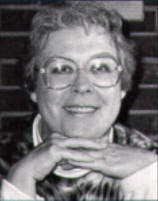 She published Obsidian in 1987, and The Stone House in 1989, and followed these with several books under the pseudonyms Madelyn Sanders and Diana Bane. In 1993, she was at last able to return to Northern California and began work on her signature mystery series featuring the intrepid Fremont Jones. She is best known for these, beginning with The Strange Files of Fremont Jones, 1995, which introduced fans and friends to Fremont Jones and brought her critical acclaim. Five books followed with Fremont Jones. Her last stand-alone book in was published in 2000, Cut to the Heart, set in the sea islands of South Carolina, with Clara Barton at the beginning of the Civil War. She has been part of online mystery blogs and writers groups who all sorely miss her presence. She died in Eureka from complications of rheumatoid arthritis and congestive heart failure. She is survived by two sons and several grandchildren. Her ashes were scattered off the coast of northern California. She is also survived by numerous friends and neighbors who mourn her passing, each the richer for having known and loved her. Very sad and a loss to our community. I heard when I was just starting . . . So sad. Thank you for passing on the news. Diane left a legacy behind with her writing. I'm sorry to hear that. I remember reading those books back in the day and liking them. She also, kinda, gave me one of my insights into the publishing world. When Publisher's Weekly ran a review of her first book, it mentioned a hardcover print run of 2,000 books. It seemed like so few books to cover the country. I met and talked with her several times and wrote reviews of her books for The Perp. She was very nice and really enjoyed her writing life. We met when she lived in Chapel Hill. Sorry to hear this. I'm so sorry to hear this---she was one of the nicest people I ever knew through my bookselling days and after. I will miss her very much. She was an amazing woman. I'm so sorry to hear that! Do you know where I could get more info, an obit maybe? I haven't seen an obituary yet, but will post when I do! Thank you so much for posting this. Was not sure if the word was going to get out. She was a good friend and I miss her sorely. I hope that somewhere someone will write something in the "big press" of the publishing world. I hope so, too, Polly. sending my condolences to Dianne Day's family and friends. sad to learn of her passing. I greatly enjoyed all her books and so sorry there will be no more. RIP Dianne. Very sorry to hear this, she was a terrific writer and will be missed.